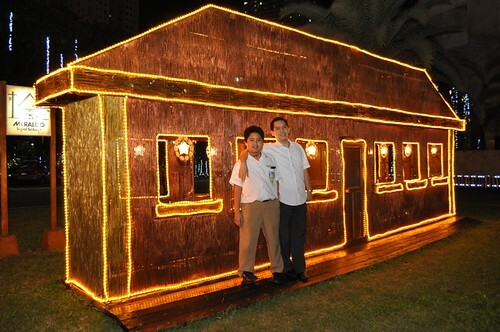 I've been meaning to visit the Meralco Liwanag Park's display last year but I didn't find the time. Thankfully, my husband's office is now a stone's throw away so we were able to visit before going home. I was actually invited to the launch five days ago but I wasn't able to take photos of the park that night. Most of the displays were crowded so I just promised Rap that we'd come back. 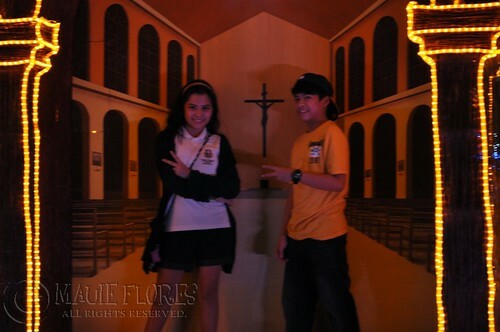 Since it's a holiday today (Bonifacio Day), lots of families with kids visited the park last night. And guess who we spotted strolling around the park? 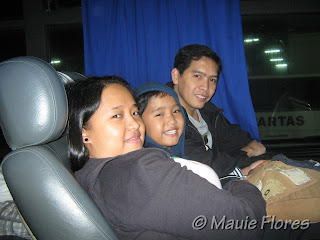 It's Going Bulilit's Nash Aguas! Hmm... I forgot the name of the girl but I know she's also from the same show. 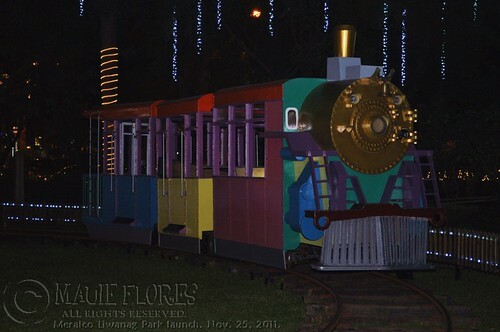 Too bad the train was being repaired last night so we weren't able to see it in action. Visitors were able to ride the electric shuttles, though. 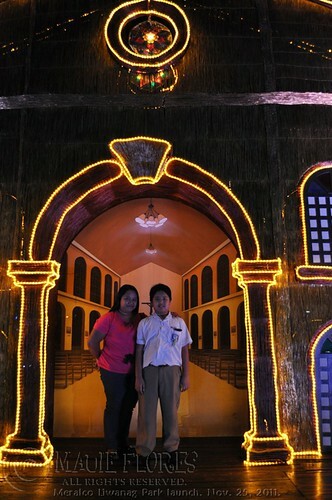 It was the most relaxing way to go around and admire the lights displayed in all parts of the compound. Being a weeknight, the Christmas bazaar was also closed. So the boys and I only strolled and took photos for half an hour before we finally went out to have dinner at a nearby resto. Meralco Liwanag Park charges no entrance fees. However, Meralco asks the public to help support its Maliwanag ang Pasko campaign send at least 1,000 Filipino kids to school just by adorning their homes with Christmas lights and sending a photo over to Meralco. You can read more about the mechanics HERE. 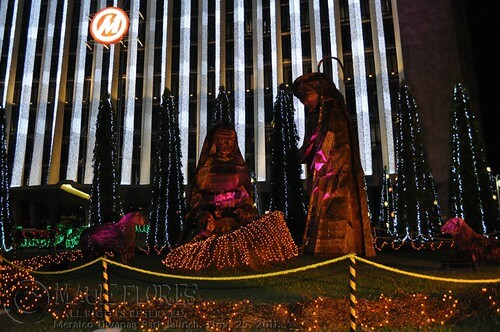 The Meralco Liwanag Park will be open until December 30, 2011. The park is open from 7PM to 10PM on weeknights and 7PM to 12 midnight on Saturdays. Just bring an ID to leave with the guard for your Visitor's Pass. Pedestrians can enter through the gate facing the Shell station by the corner of Ortigas Avenue and F. Ortigas Ave. (formerly Emerald Ave.). 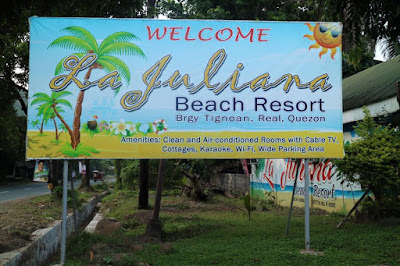 Guest with cars, meanwhile, can enter through the next gate (near BDO). and... Keep up the good work. I know from experience it's not always easy!